SAP Training in Chennai, Best Training for Oracle/ Testing in Chennai, Java/Dot net Training in chennai, Best Training for Oracle Testing in Chennai, Java Dot net Training in chennai. 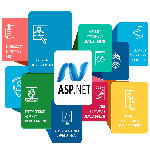 Components of .Net: Framework, Orchestration, CLR, The Common Type System, The Common Language. Search Engine Marketing. 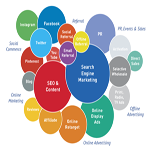 Search Engine marketing (SEM): is similar to, but incorporates, SEO and uses many of the same techniques as a part of that. Software support that addresses all the needs of an enterprise with the process view of an organization to meet the organizational goals and integrate all the functions of the enterprise. Software support that addresses all the needs of an enterprise with the process view of an organization to meet the organizational goals and integrate all the functions of the enterprise. To reward employee initiative at every level and follow a policy of equal opprtunity. Navo Infotech Provides implementation and customization services for leading ERP application like SAP, PeopleSoft and BaaN. Navo Infotech believes that cost effective software solutions will add value to the clients and its products to be competitive in the fast changing market trend. 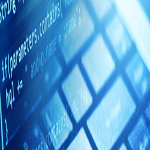 The Offshore Development Center located in Chennai, India concentrates on software development while its customers concentrate on its core business activities. The Channel Partners Program consists of three sub-programs: Consultant, Channel Solution and Channel Distribution. This program category allows our partners the opportunity to enhance offer by reselling or referring our competitive products and services, Our robust line of product and service save time and money, create custom application, provide pull-through opportunity and increase revenue in the Healthcare payer and provide markets, life cycle. Navo Infotech provides partners with all the elements for a successful alliance: Support for Ssales and Marketing; Product, Implementation and support training and education. Provides Digitization and Documentation Management System to Malaysian Client(s). Developing its own core product on Knowledge Management System (KMS) for Healthcare Industries. Navo Infotech having Clients in Banking, Finance, Insurance, Retail, Automobile, Systems Integration and Educational organizations United States, Europe, France, Malaysia, Singapore, SriLanka. Navo Infotech is a Business Partner Associate for reselling Ramco's ERP Products. Navo Infotech's backoffice or Business Process Outsourcing (BPO) arrangements allow health plans and administrators to outsource a single function or their entire operation to Navo Infotech, India. Navo Infotech provides comprehensive solutions to meet your needs. Combine the purchase of software applications with timeshare or business process outsourcing services to create a solution that meets your unique needs. Navo Infotech understands that the most significant challenges facing any business are usually industry specific. From our beginnings in healthcare, we have moved into other verticals and continue to deliver adaptable solutions with a rapid return on investment for key business problems. We have focused on delivering flexible solutions that allow Organizations to utilize industry best practices with the goal of delivering immediate value. Choosing Navo Infotech technology and services allows you to build, measure, tailor and tune your business processes and provides the ideal foundation for change - we always support the very latest standards such as VB, ASP, XML, J2EE and Web Services as well as the various legacy systems you have today. Navo Infotech, which is one of the pioneer Business establishments in Chennai, India with state-of-art development center at Navo Infotech Chennai employing very high skilled software professionals.